DVD players have become great value items, and whether you are looking for something compact to take on vacation with you to keep the kids entertained or a DVD player for your home entertainment system, there is a player suited for you. With so many options out there, choosing the right one can be confusing. We have put together this complete DVD buying guide to make deciding as easy as pushing play! Portable DVD Players: Small, compact and portable, these DVD players allow you to bring your favorite DVDs with you on any vacation. Especially great for kids or when stuck in the car or plane for hours on end, a portable DVD player is an excellent option for on-the-go entertainment. Progressive Scan DVD Players: Most new DVD players are progressive scan players that use an updated way of refreshing the images on your screen in order to display a smoother, more detailed picture.This improvement is noticeable when watching on a high-definition television, but these players work just as well on a standard TV. HD Upscaling DVD Players: These DVD players work seamlessly with your HD-ready TV to bring you great quality movie watching. They are able to increase the resolution of older, non-HD DVDs to fit your HD television for great viewing pleasure. 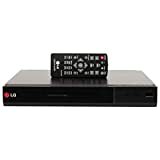 DVD Recorder Players: DVD recorders not only enable you to play your favorite DVDs but also to record (or burn) your own DVDs. Some recorders come with internal storage space that allow you to record your favorite TV programming to watch later, similar to the way a DVR functions. These are great tools for saving some of your favorite shows, or for converting older media like home VHS movies to a more modern format. Blu-Ray Combo DVD Players: Because these types of DVD players can play both Blu-Ray discs and standard DVDs, they provide a convenient option for people who want to play their older DVD collections as well as newer Blu-Ray discs. Their Blu-Ray technology means users will enjoy a higher level of image and sound quality, and they are the perfect combination of technologies to provide users with maximum viewing variety. Operation: Simplicity is a valued feature of DVD players and players that are easy to use and operate are reviewed well by consumers. 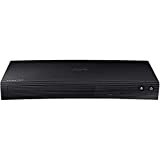 If you are looking for a user-friendly standard DVD player, checking online reviews for users who are satisfied with the ease of use of their players will ensure greater product satisfaction. Playable Formats: DVD players that are able to play a variety of formats besides standard DVDs, such as DVD-R, MKV, XVID, and MP4 files, add more viewing options. If this is an important consideration for your new DVD player, comparing manufacturer's specs to see playable formats of different models will ensure your player will play the files you need it to. Speed: Users want their DVD players to start up and load DVDs quickly and easily, and rate their players high if they do. Choosing a top brand with good reviews in this respect will ensure your player won’t be slow to open, play, and load. Menus: Convenient and logical DVD player menus that offer users the ability to change settings and choose DVD chapters easily with an included remote are rated much higher by reviewers. 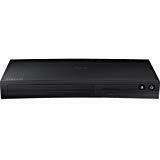 You can ensure your DVD player meets these requirements by choosing a top brand with great online reviews. Do you want to store discs in the DVD player itself? Players that can play one disc at a time are compact and can be moved between rooms without too much difficulty. Players that hold several discs at a time are a convenient way to navigate through movies without having to load a disc each time you want to watch a new movie. Deciding between a DVD player with or without a front display should be based on personal preference. DVD players without a display are usually good value players that don’t have any lights that you may find distracting during a film. Players with displays will enable you to track where in the movie you are and able you to easily navigate between chapters. Choosing a DVD player that includes button controls will help prevent frustration if you happen to misplace your remote or forget to change the batteries, as this will allow you to operate your player without one. Some DVD players are encoded to only play DVDs from a specific region, it is important to check that your new player will play your American bought DVDs. If you have DVDs that have been bought outside of the US, you may need to make certain that your new DVD player can play discs from those regions as well. 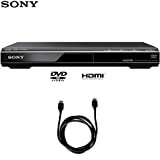 DVD players with component and composite video outputs will allow you to play HD DVDs on an older TV, but resolution will be limited to that of your television.. If you have a HDTV, you will need a DVD player with upscaling to display your movie at the best resolution for your television set. Additionally, look for a player with an HDMI output to get the best picture quality. Most DVD players also provide additional features such as multilingual support, which lets you choose dialog or subtitles in different languages for a movie. Parental controls lets you lock out films by their rating code. Dynamic audio-range controls help keep explosions and other noisy sound effects on a DVD from seeming too loud. A DVD with a built-in decoder will make sure you have great sound no matter the sound format of the DVD you are watching. When buying a portable DVD player, consider how you will primarily watch it. Some players fold out like a laptop, while others can swivel 180 degree to lay flat on themselves, like a tablet. Whether you want to watch it from atop a table, hold it in your lap, or hang it from the head rest in the car should be a primary deciding factor in the type of portable player you get. In addition to how you’ll watch movies, understand how you plan to listen to your portable DVD player. For cars or family vacations, you may want to choose a player with great reviews for loud sound. 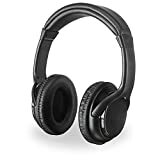 But if you’ll be watching on planes or in other crowded areas, then a player with a good speaker jack - or even two jacks, for shared listening - may be a better option. Sony: Sony has been a leading name in consumer electronics for nearly 70 years. Their stylish DVD players come with multi-brand TV remotes and multi-disc resume capabilities to get you re-immersed right where you left off with your favorite movies and TV shows. Panasonic: Japanese Corporation Panasonic is perhaps best known for their televisions, but they also manufacture a wide range of other home electronics. Their up-converting DVD players can create 1080p high-resolution content from many standard DVDs for a more detailed viewing experience. GPX: GPX, formerly Gran Prix Electronics, is headquartered in St. Louis, MO. 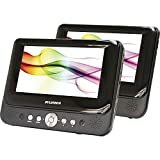 Their line of DVD players is comprised mostly of portable units for watching on the go, but also includes a number of traditional players at a very competitive price point.